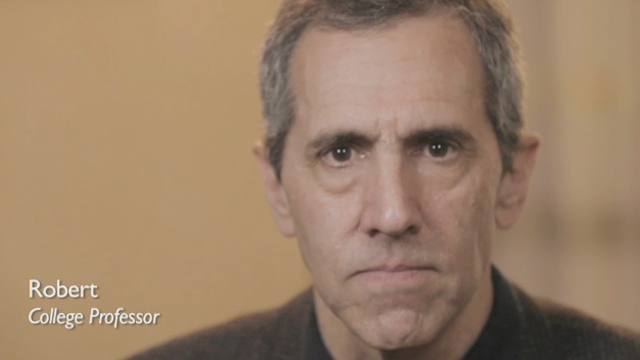 Neurogenic Orthostatic Hypotension: One patient's story. 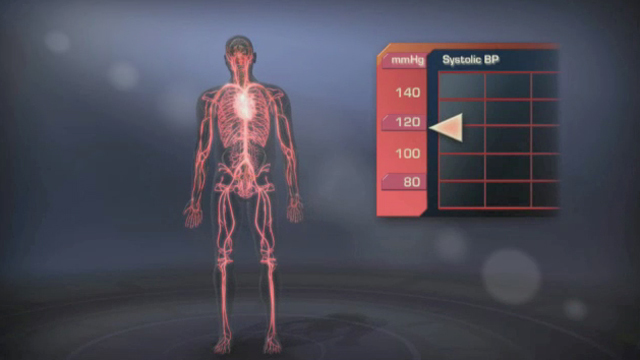 Neurogenic Orthostatic Hypotension: A medical animation video that explains this condition. CHARLOTTE, N.C.--(BUSINESS WIRE)--Chelsea Therapeutics International, Ltd. (Nasdaq: CHTP) today announced that the U.S. Food and Drug Administration (FDA) granted accelerated approval of NORTHERATM (droxidopa) for the treatment of symptomatic neurogenic orthostatic hypotension (NOH). 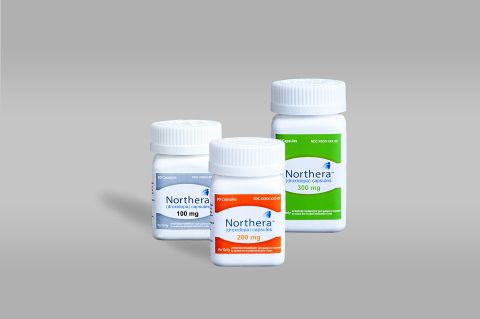 NORTHERA is the first and only therapy approved by the FDA which demonstrates symptomatic benefit in patients with NOH. NORTHERA is indicated for the treatment of orthostatic dizziness, lightheadedness, or the “feeling that you are about to black out” in adult patients with symptomatic NOH caused by primary autonomic failure (Parkinson’s disease, multiple system atrophy and pure autonomic failure), dopamine beta hydroxylase deficiency and non-diabetic autonomic neuropathy. Symptomatic NOH is an autonomic nervous system disorder caused by failure to produce and or release adequate amounts of norepinephrine upon standing. Norepinephrine deficiency results in an inability for a person to maintain adequate blood pressure and blood flow to the brain when upright, frequently resulting in dizziness, lightheadedness, blurred vision, fatigue, poor concentration and fainting episodes. These symptoms often severely limit a person's ability to perform routine daily activities that require standing or walking for both short or long periods of time. 1,2 The disorder affects an estimated 80,000 to 150,000 individuals in the United States. The NORTHERA approval was granted under the FDA’s accelerated approval program, which allows for conditional approval of a medicine that fills a serious unmet medical need, provided additional confirmatory studies are conducted. The package insert indicates that effectiveness beyond 2 weeks of treatment has not yet been demonstrated, therefore the continued effectiveness of NORTHERA in patients should be assessed periodically. A multi-center, placebo-controlled, randomized study, which includes a 4 week randomized withdrawal phase preceded by a three month open label run-in phase, designed with the goal of definitively establishing the durability of the clinical benefits of NORTHERA, has been preliminarily agreed to with the FDA. Based on the contemplated study design, the trial would include approximately 1,400 patients, which the FDA has agreed may be enrolled over a six year period. Please see NORTHERA full Prescribing Information including Most Serious Side Effects for additional Important Safety Information at http://www.chelseatherapeutics.com. For product information, or to report SUSPECTED ADVERSE REACTIONS, contact Chelsea Therapeutics, Inc. at 1-855-351-2879 or FDA at 1-800-FDA-1088 or www.fda.gov/medwatch. References: 1. Freeman R, Wieling W, Axelrod FB, et al. Consensus statement on the definition of orthostatic hypotension, neurally mediated syncope and the postural tachycardia syndrome. Clin Auton Res 2011;21:69-72. 2. Freeman R. Clinical practice. Neurogenic orthostatic hypotension. N Engl J Med 2008;358:615-624. 3. Goldstein DS, Holmes C, Kaufmann H, Freeman R. Clinical pharmacokinetics of the norepinephrine precursor L-threo-DOPS in primary chronic autonomic failure. Clin Auton Res 2004;14:363-368. NORTHERA is indicated for the treatment of orthostatic dizziness, lightheadedness, or the “feeling that you are about to black out” in adult patients with symptomatic NOH caused by primary autonomic failure (Parkinson’s disease, multiple system atrophy and pure autonomic failure), dopamine beta hydroxylase deficiency and non-diabetic autonomic neuropathy. Effectiveness beyond 2 weeks of treatment has not been demonstrated. The continued effectiveness of NORTHERA should be assessed periodically. Droxidopa was initially developed by Dainippon Sumitomo Pharma Co., Ltd. (DSP) and first commercialized in Japan in 1989. Chelsea Therapeutics (Nasdaq:CHTP) is a biopharmaceutical development company that acquires, develops and commercializes innovative products for the treatment of a variety of human diseases, including central nervous system disorders. Chelsea acquired global development and commercialization rights to droxidopa (L-DOPS), or NORTHERA, from Dainippon Sumitomo Pharma Co., Ltd. in 2006, excluding Japan, Korea, China and Taiwan. For more information about the Company, visit www.chelseatherapeutics.com. This press release contains forward-looking statements regarding future events including our intention to pursue the development of NORTHERA . These statements are subject to risks and uncertainties that could cause the actual events or results to differ materially. These include the risk that we are unable to successfully commercialize NORTHERA; the risks associated with fulfilling sales, marketing and distribution requirements; reliance on key personnel and our ability to attract and/or retain key personnel; the risk that FDA will not agree that our clinical trial results demonstrate the safety and effectiveness of droxidopa or fulfill the post marketing requirements to achieve full approval; the risk that our resources will not be sufficient to conduct any study of NORTHERA that will be acceptable to the FDA; the risk that we cannot complete Study 401 or any other additional study for NORTHERA without the need for additional capital; the risks and costs of drug development and that such development may take longer or be more expensive than anticipated; our need to raise additional operating capital in the future; our reliance on our lead drug candidate droxidopa; the risk that we will not be able to obtain regulatory approvals of droxidopa or our other drug candidates for additional indications; the risk of volatility in our stock price, related litigation, and analyst coverage of our stock; reliance on collaborations and licenses; intellectual property risks; our history of losses; competition; market acceptance for our products when approved for marketing. Chelsea Therapeutics International, Ltd. today announced that the U.S. Food and Drug Administration (FDA) granted accelerated approval of NORTHERA (droxidopa).